Stone Steps | Just Shooting Memories! During my recent trip to Fall Creek Falls State Park in Tennessee, I had to make the trip to the base of the falls. This is just a half mile trek. Not bad, right? That is until you start walking. This trail is labeled strenuous for a reason. It starts at the overlook to the falls and plunges straight into the gorge that the falls run into. 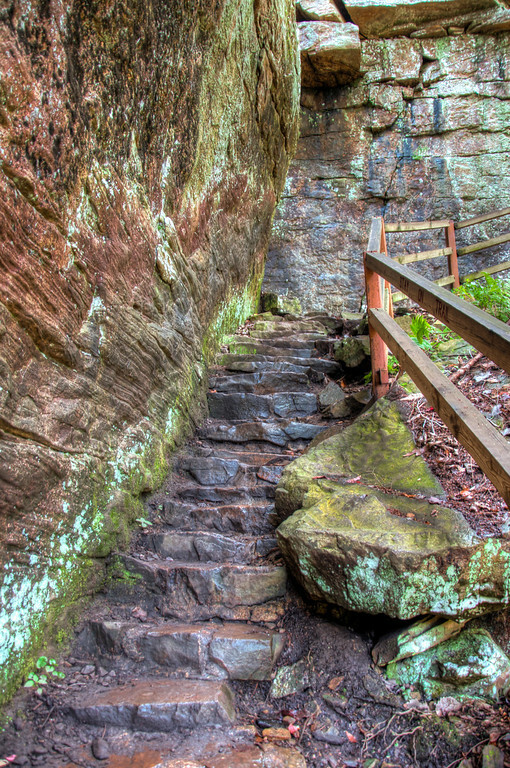 There are tons of steps, wooden steps, rock steps, dirt steps, even steps that are covered in moss. Although there is not much of that from all the traffic. These were about half way down and very slick from the water dripping down from the canyon walls above.